ACT skilled occupation list – how long will they last this year? The ACT have announced their skilled occupation list for 2017-2018. The ACT occupation list is only for the Skilled Nominated (Subclass 190) visa. Unlike other states or territories The ACT do not nominate applicants for the alternate state/territory nominated Skilled Regional (Provisional) (Subclass 489) Visa. This visa is a temporary residents visa. It is commonly acknowledged to be an inferior visa to the Subclass 190 visa. If your occupation is listed, and you are keen to apply, then the advice is to get onto it. In the last financial year, 2016 to 2017, the occupation list was only open for a few weeks before it was closed. What occupations are on the 2017-18 list? If you would like to discuss your options then please Contact Us. ACT Occupation List Update – 31 August 2016. The ACT have announced the following about their Subclass 190 visa program. The demand for occupations in the ACT is currently under assessment. The new ACT Occupation List will be published on 31 August 2016. 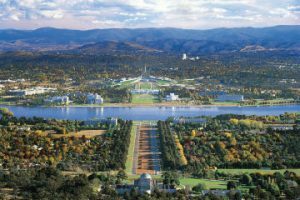 If you are interested in living in Canberra and knowing what occupations will appear on this list please register your interest with us. You can contact us via email – mark@cargilmigration.com or phone + 44 (0)7710 649194.